Only $12.80 each for purchases of ten or more books! Find Christ-Centered Generosity on Amazon and in the Kindle Store! The Global Generosity Network and Kingdom Life Publishing have partnered to launch the writing and publication of Christ-Centered Generosity. 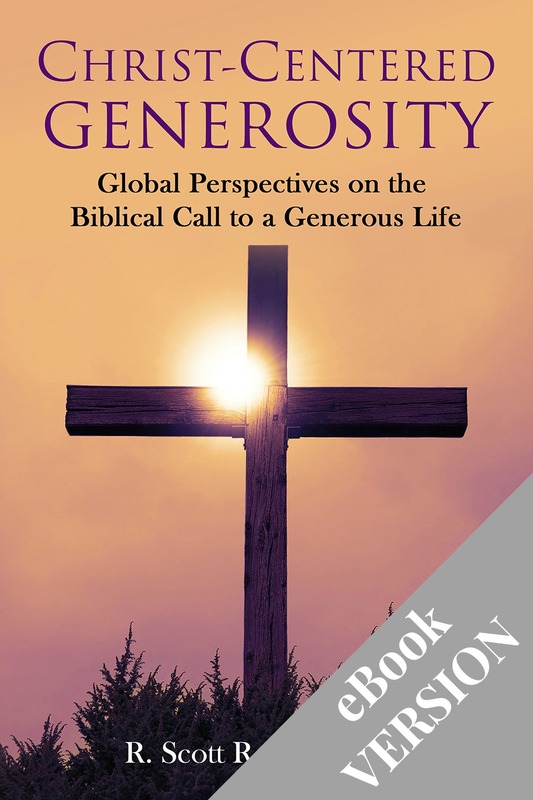 The purpose of the book is to be a primary resource for the global movement of biblical generosity. Our hope is to provide a theologically sound, biblically-based resource for Christian leaders, pastors and the body of Christ on the theme of our call to be faithful stewards who live lives of generosity and joy. Share your own story of generosity here! Read more generosity stories here! Sign the Generosity Declaration here! Take the Seven-Day Generosity Challenge! Thirty-three authors from twenty two countries have written stories of generosity that illustrate the concepts in the book from their different cultural perspectives. Each of the five sections will include three Generosity Stories. Five authors from different regions of the worlds have written reflections on generosity from their cultural perspectives. The purpose is to help the reader continue to see how generosity is lived out in different vocations and cultural settings. This section, written by the heads of seven international ministries, provides an invitation to set aside one week for focus on the Christ-centered generous life. It includes daily scripture, meditations and actions that help the reader embrace and practice joyful generosity in their life in whatever context they live. Each day has a theme and an author/organization that epitomizes that theme. They include scripture, a short reflection and a specific call to action that the reader can accomplish that day, plus insights into how the action can become part of a lifestyle of generosity. Many of us in the Majority World have gratefully experienced the generosity of our sisters and brothers in the West. This book will enrich the global church by showing that stewardship and generosity are not to be confined to a certain culture but are characteristics of an authentic Christian lifestyle. R. Scott Rodin has done a marvelous job by weaving in biblical and theological truth with real-life stories from around the world. I do hope that this book will become required reading for theology students who are preparing to serve God’s kingdom. Our God in love created space for humans and the world to exist as a dependent reality upon Him. As humans we are interdependent upon one another and on God’s beautiful creation. God is not a demander, but a giver. We are His guests and recipients of divine provision. The word of God was the chief actor in all that was created (John 1:3). However, when the word became flesh, we crucified Him (John 1:11–14). We were not at all hospitable to the One who is our ultimate Host. Aren’t we human beings constantly building walls, shutting people out, slamming our front door in the face of other people and other creatures? We treat creation as an object to dominate. In our consumer-driven culture, things are valued for their usefulness to humanity rather than for what they are as creations of God. 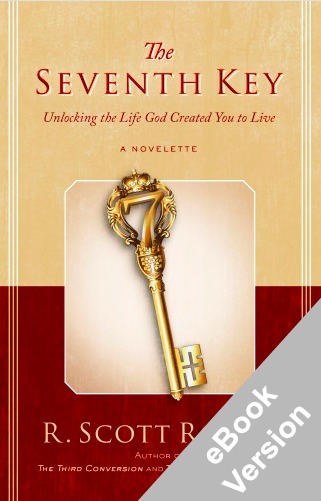 This book reminds us that being generous is the very purpose of our creation and redemption in Christ. I can highly recommend this book for all people who want to know the heart of God – this is expressed best in generosity. He loved, so He gave! The publishing of Christ-Centered Generosity is timely, and it is a must-read book for any Christian that desires to grow in stewardship. It offers sound biblical understanding on acquisition and distribution of wealth. The book is relevant to Africa’s situation today. It is true that Christianity is growing in Africa; unfortunately, giving to missions is not commensurate to the enormous mission opportunities. Christ-Centered Generosity will set the reader free from the tyranny of materialistic tendency that does not satisfy but robs one of the joy of living. Understanding the message of Christ-Centered Generosity will liberate and help the reader to look upon the “things” above. Just imagine the global and eternal impact if God’s people, instead of hoarding His blessings and resources, would release them and invest them for a global mission! This volume provides both biblical truth and testimonial inspiration that help give us a glimpse into what happens when God’s people live out biblical generosity. A pastor friend from Singapore once told me that during the remarkable growth among Christians there in the 1980s, his church taught new converts four things within four weeks of discipling: how to read the Bible, how to pray, how to share their new faith, and how to give. Generous giving was seen as integral to biblical discipleship, and so it was taught from the very beginning. Generosity is of course a response to grace and an overflow of gratitude. But it is also a matter of obedience (in both Old and New Testaments) and a matter of justice (not charity), as we see in Deuteronomy 15. I commend this book for combining biblical principles with practical examples and for helping us to see that this is not just about “the West funding the rest,” but of a mutual and reciprocal duty and joy by which the whole church can be blessed, and the world can come to know the greatest gift of all. From the first pages of the introduction to the last pages of the Seven-Day Generosity Challenge, this work teaches and illustrates, by principle and example, that generosity is not what we do but who we are. Filled with stories from all over the world—of much and little, young and old, rich and poor environments—the examples of joyful obedience and the immeasurable blessings that follow serve to encourage and motivate the Christian reader to greater acts of generosity: the manifestation of a transformed life. For one to begin to appreciate the great changes that could impact so many lives—giving them hope and relief in the mess of a world where poverty and ignorance reign—could be possible only through the intentional application of biblical Christ-centered generosity, which is very clearly communicated in this insightful book. Thank for such a book. I very highly commend this book, which challenges believers to respond to very clear, christo-apostolic admonitions about generosity.